The creative arts can offer a powerful contribution to the experience of patients in care settings but, more importantly to a person’s wellbeing. There is an ever-growing body of evidence that demonstrates the benefits of the arts in health and social care settings. For example, a study in London found that after engaging with the arts, 79% of people in deprived communities ate more healthily, 77% engaged in more physical activity and 82% enjoyed greater overall wellbeing. The arts can even improve patients’ clinical outcomes as they have the ability to relieve patients’ anxiety and decrease their perception of pain thereby facilitating their recovery both mentally and physically. In secondary care settings, patients can often feel as though they are out of control. The presence of art can alleviate this feeling by providing opportunities for expression while simultaneously reducing stress and feelings of isolation. 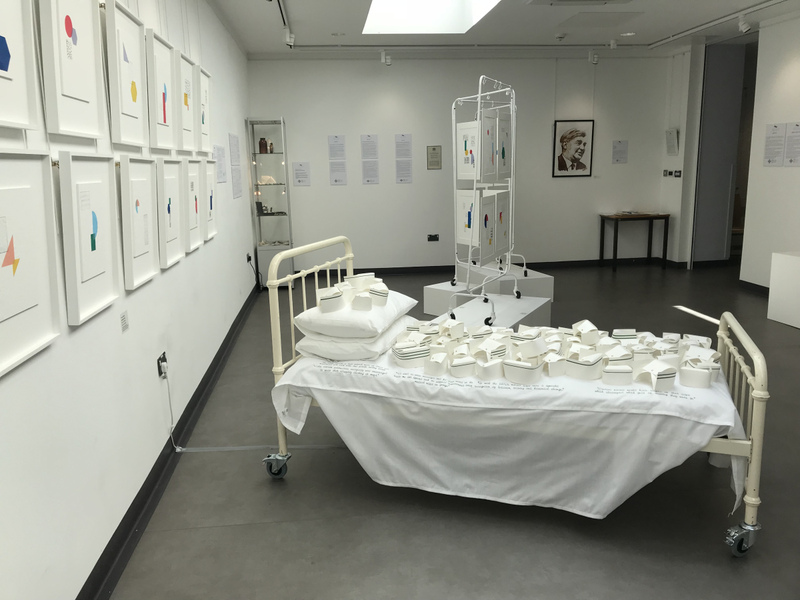 In improving quality of care, the arts can also support the mental and physical wellbeing of patients’ families and the staff which care for them. The way in which we care for patients is always evolving and we have learned to offer a more holistic approach to healthcare. By putting not only the immediate health needs of a patient but the individual as whole at the centre of the care we offer, we can improve both their overall experience and often their clinical outcomes. In its 70th year, the National Health Service is an institution to be celebrated but it is one which faces constant challenges. An ever-changing population with ever-changing care needs mean that we have not only the opportunity but the responsibility to act now and change the way we do things for the benefit of both present and future generations. Now is the time for bold changes and we know that embedding the arts into our care environments is essential. Our focus on this will continue to grow and evolve over the coming years. For this reason, we have developed, and will soon begin to implement, a five year arts strategy that sets out seven strategic objectives through which we will deliver the benefits of the creative arts directly to our communities, our staff and our patients. You can read our strategy here. Maria Battle, Chair of the UHB and its Arts and Environment Group, said, “I’m incredibly proud of what the health board has already achieved in this field by working alongside the arts community, our dedicated and innovative staff and, of course, with the financial support of our wonderful Health Charity. However, the work that is set out in this strategy is truly transformational.